A post card dated May 1, 1912, just a couple weeks after the disaster. As with many pictures made shortly after the sinking, this shows the RMS Olympic. The name has been removed and "Titanic" crudely written in its place. 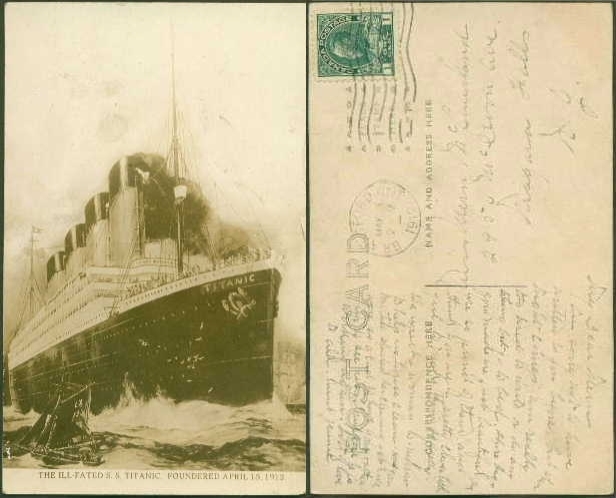 One of the more colorful pre-sinking post cards advertising the Olympic and Titanic. It is not postally used.